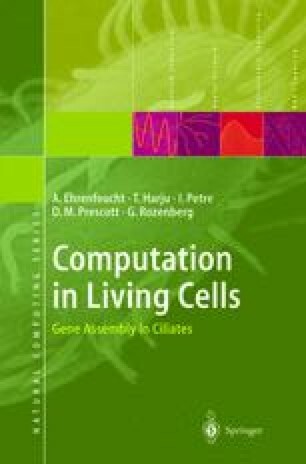 The features of ciliates that make them uniquely useful for the study of natural computing are described in this chapter. Of particular advantage is the presence in these unicellular organisms of micronuclei and macronuclei. Genes in micronuclear chromosomes are in DNA segments, called MDSs, created by the insertion during evolution of segments of nongenetic DNA, called IESs. In some genes the MDSs have been reordered into scrambled arrangements. After cell mating a micronucleus is converted into a macronucleus, which requires excision of IESs and splicing of MDSs in an orthodox order, processes that are extraordinary cases of natural computing.